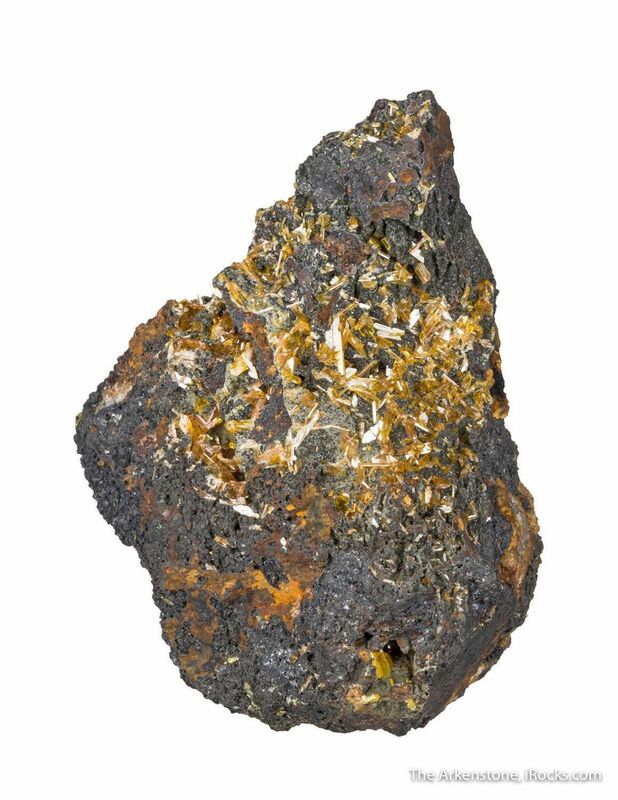 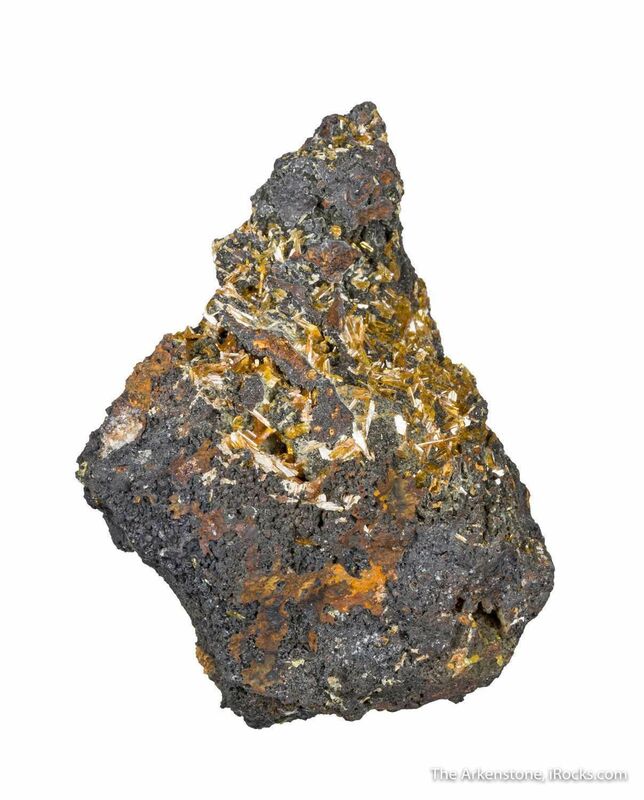 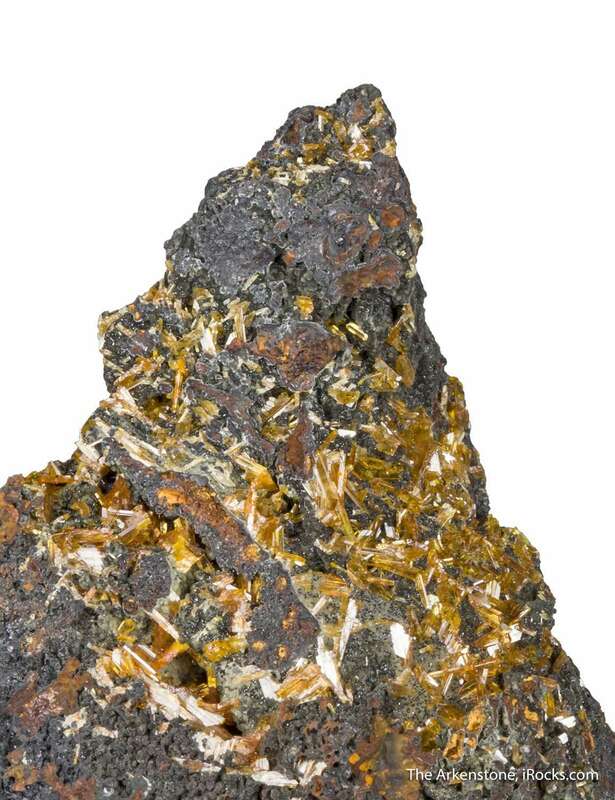 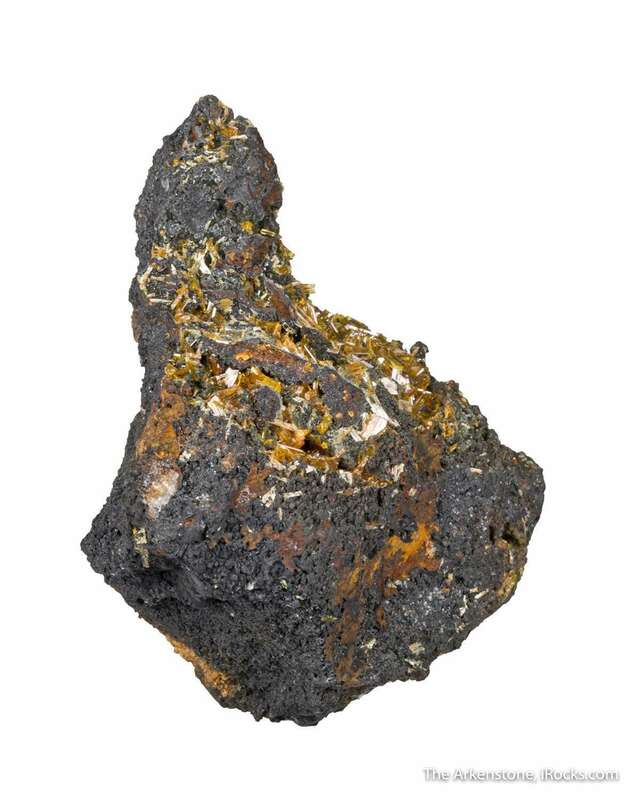 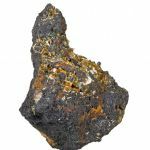 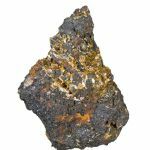 Raspite, named for the discoverer of this famous deposit, is a rare lead tungstate that was first found at Broken Hill, making this the type locality (circa early 1900s). 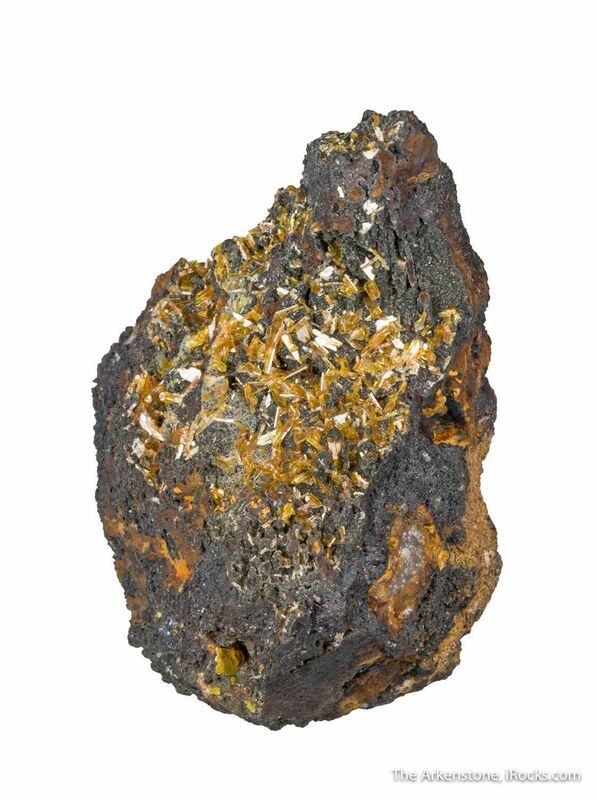 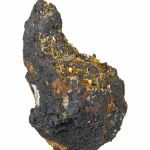 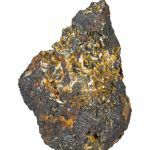 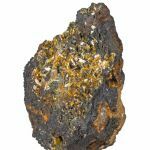 This is an exceptionally rich specimen, one of the richest I have seen for sale in fact, with vugs in the boxwork sulfide matrix that are full of brilliantly glassy and gemmy, golden raspite crystals to 5 mm in length. 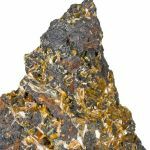 The crystals are so lustrous that they actually glow and sparkle with minimal light, making this otherwise "ugly" matrix somewhat attractive overall. 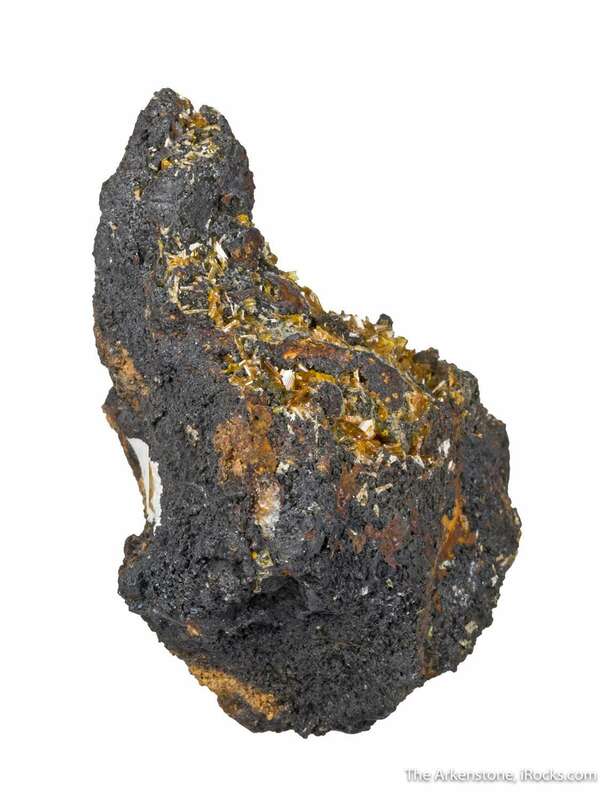 From the Australia suite of a major private Australian collection.